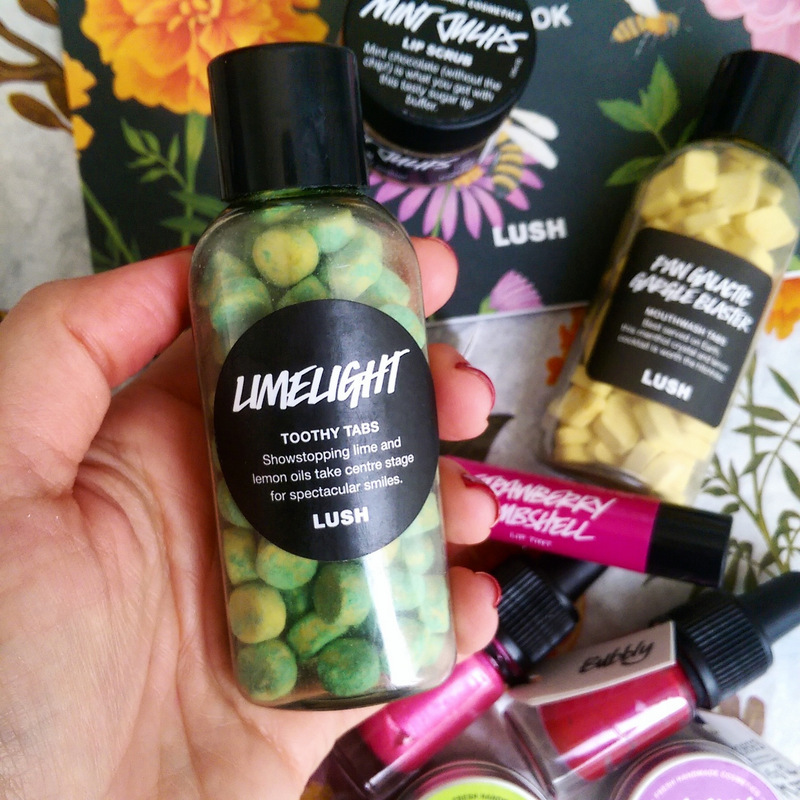 When a pakkie arrives from Lush it’s always a good day. If you order from them online you’ll know I’m not lying when I say you can usually smell your goodies before you open the parcel. Anyway, this particular package was full of what the PR said would help me take care of my ‘mouth’ as it wasn’t just lip items, it included their ‘toothy tabs’, self-preserving pilletjies that dissolve in your mouth to be used like tooth paste! Also, little mouth wash pellets! Limelight (R125) has a, you guessed it, lime flavour to it. Brilliant as I’m cray cray for lime. Lime scented candles. Lime milkshakes. I’m a lime lover! But ja! Let’s take a proper look, shall we? 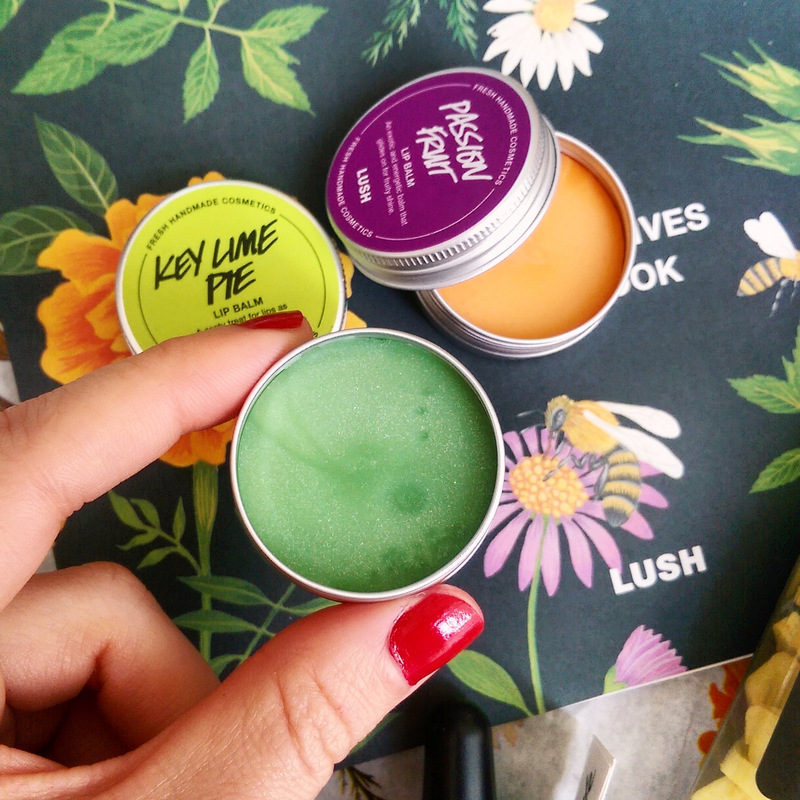 I thought I’d highlight some of my favourites, starting with another lime lovely and that’s their Key Lime Pie lip balm (R95). This dude now lives in my handbag. Made using a whopload of natural moisturisers (think almond, jojoba and argan oil, coconut wax and Shea butter), this guy smells delish and tastes like a sweet frozen lime margarita. I’ve been using him on my lips as well as my cuticles but licking my fingers afterwards is a bit of a challenge. 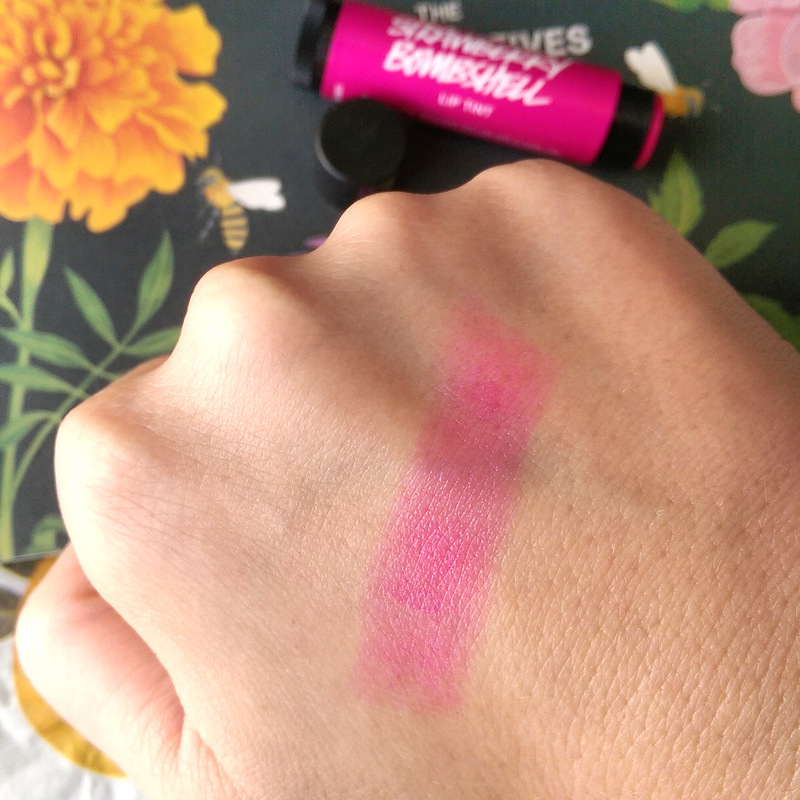 Another balm that’s a goodie if you like a bit of a colour is Lush Strawberry Bombshell lip tint (R120). Again, it’s a mix of natural hydrators like Shea butter and coconut and Kalahari melon oil but also contains antioxidant vitamin C-packed fresh strawberries! Another gem? Lush Mint Julips lip scrub (R105). To smell this is to love it! 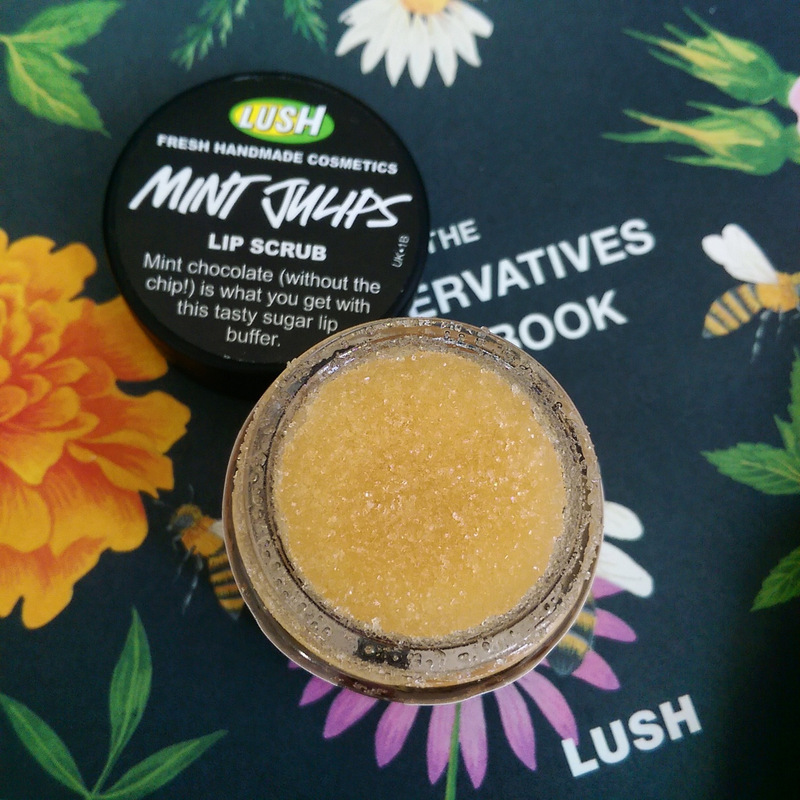 Mint Julips is a castor sugar and jojoba oil lip scrub that, to me, smells just like Peppermint Crisp, possibly my favourite chocolate in the world. (Like, if I had emigrate or something, half my suitcase would be crammed with them. No lies!) While it works a treat, stopping myself from eating it net so has been a problem. Last, but not least have you seen Lush’s ‘lipsticks’ (R195)? 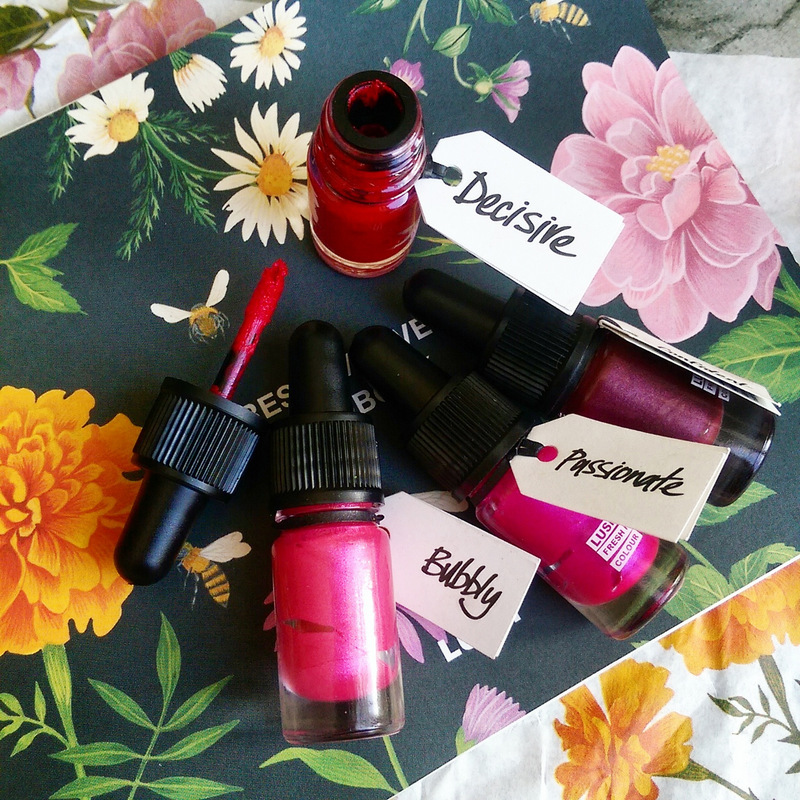 If you’ve spotted anything you’d like to try know that they’re all total gems, vegan-friendly and 100% cruelty-free. 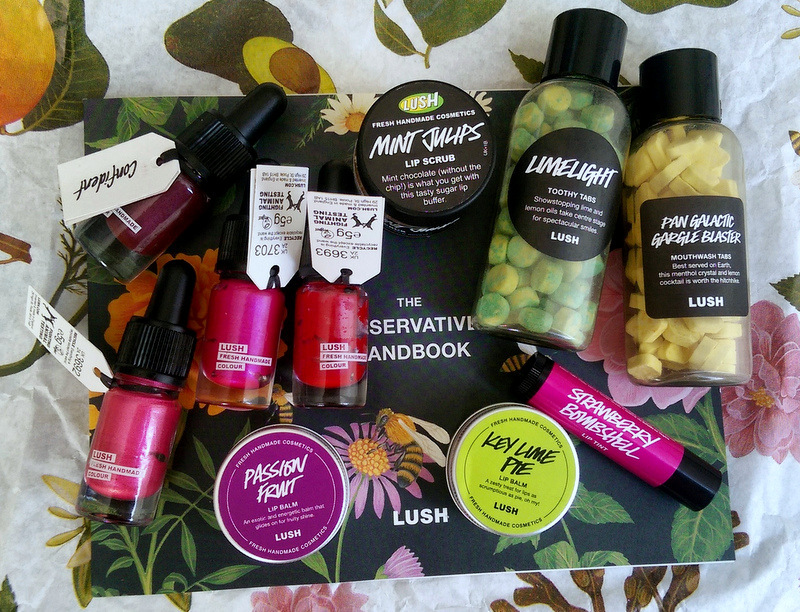 A big dankie to Lush for the spoil! Leigh, just for interest sake. Not relating to a specific brand or anything. What are your favorite flavors for cosmetics, in general, say like if you bought stuff at Lush or body shop for instance. And what are the flavors you absolutely hate? Too many to mention! I like fresh, citrusy things as well as green and aquatic notes in summer but also partial to the odd tropical scents like mango, coconut or pineapple when it’s used in something that won’t linger, like a shower gel or soap. In winter I gravitate towards warm, spicier things like cinnamon, coffee or musk. I usually detest vanilla, chocolate, caramel and toffee notes in fragrances but every now and then I’ll find something that uses it right. (Lush’s I’m Home, for example, is a vanilla-choc extravaganza and I love it!) Another fragrance note pet hate is pear but, again, every now and again I’m surprised. I’m not big on florals but I like jasmine and gardenia when it’s subtle. Fragrance is a very personal thing though. Also, I like so many random scents (bubblegum and popcorn, for example) so I’m convinced I’m leaving a lot of stuff out. Aaah this was super interesting! Thanks for sharing! Everything you describe actually sounds very Leigh-Like! I also like smelling fresh like a mint! 🙂 Mwah!